Did you ever notice how couples start to look alike? 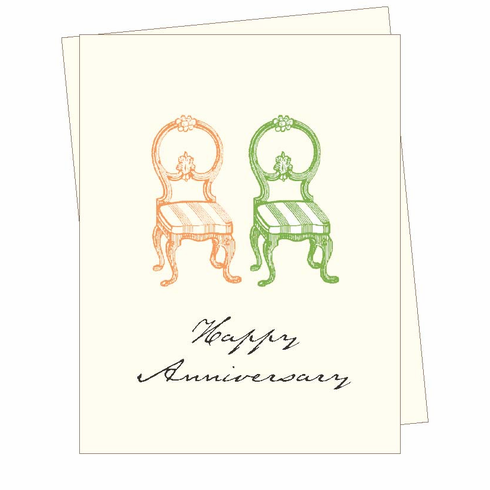 This sweet anniversary card shows a pair of vintage chair illustrations. Outside text reads "Happy Anniversary." Blank inside.